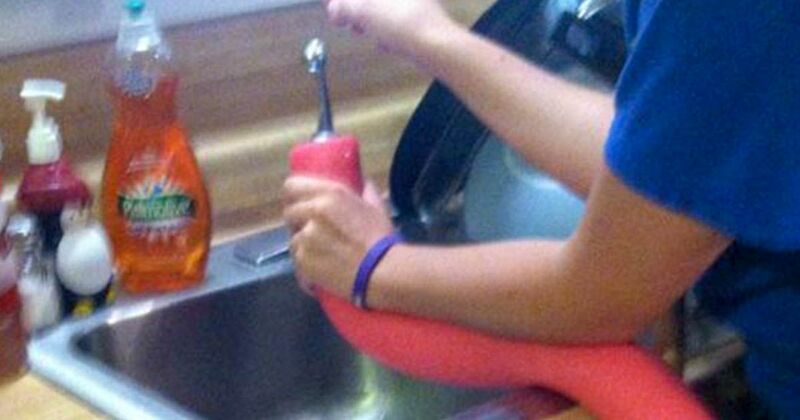 Who says pool noodles are just for the water? Many people don't know that the funny-looking aquatic toys are actually extremely versatile and can be used in endless ways. When you see all of the amazing things that can be done with these colorful toys, you'll be heading to the store to buy a few — even if you don't have a pool! The flexibility of the colorful pool noodles allows for them to be shaped and molded in a number of ways, as you'll see from the clever ideas below. 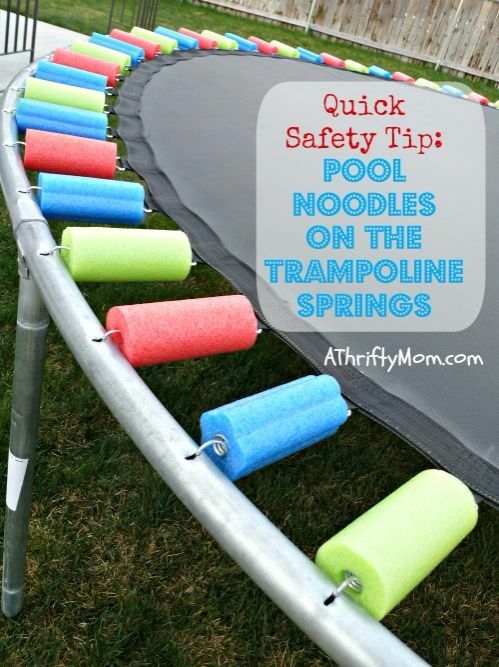 In addition to being a great craft material for kids, pool noodles can be utilized in and around the house for everything from cleaning to child safety. 1. How about a little archery practice, or a bean bag toss? Pool noodles and duct tape go a long way toward building backyard fun. 2. 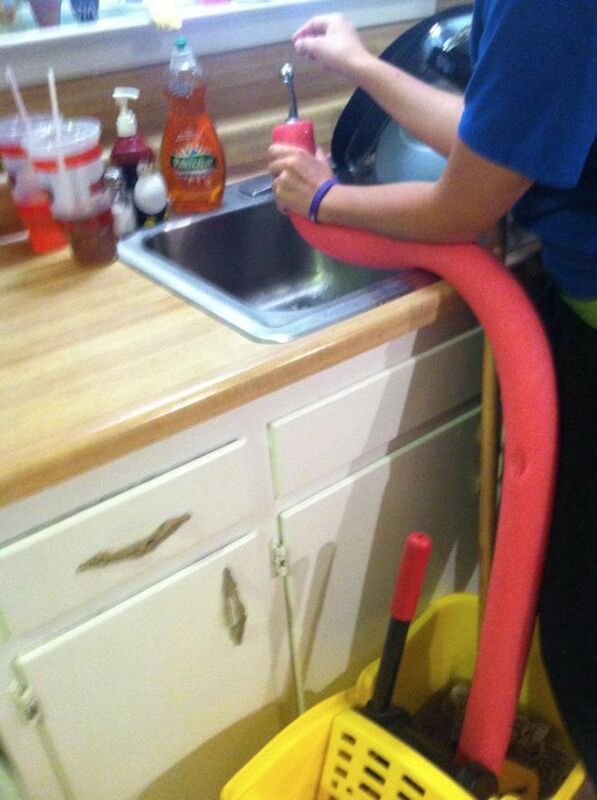 Never struggle with filling the mop bucket again — just use your noodle! 3. With some careful measuring and a box cutter, you can replace worn-out spring covers with pool noodles — no more pinching! 4. 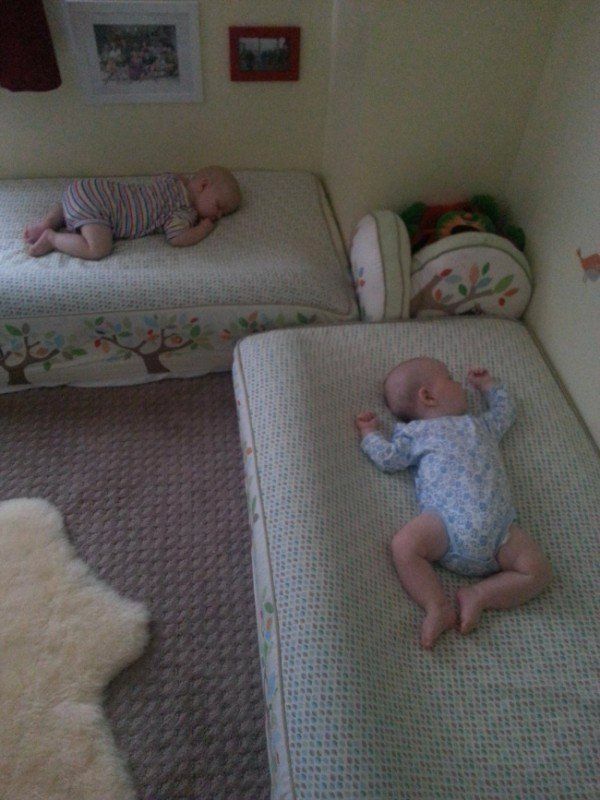 One parent found that noodles put under her sons' fitted sheets kept them from rolling off of their low beds. 5. Attach the ends of the noodle together and bind with duct tape; cover it with a cutoff leg of pantyhose, tie it off, and presto! Instant racket for balloon tennis! 6. 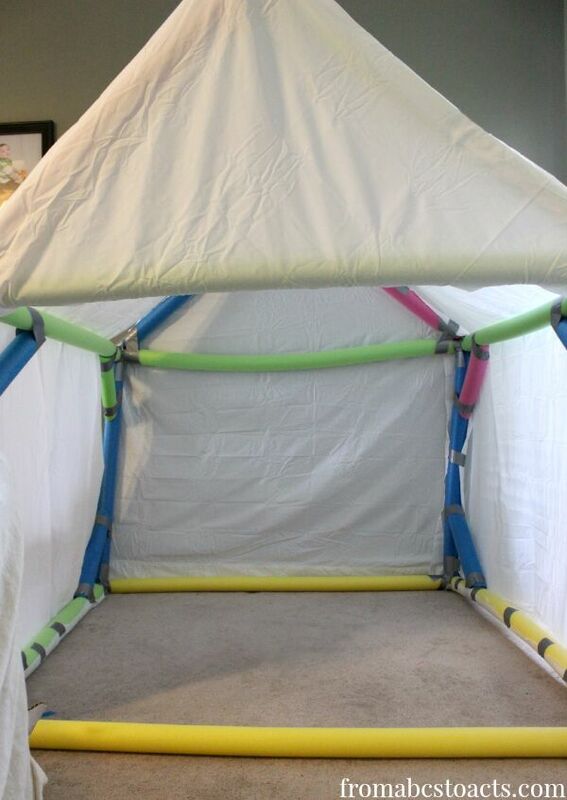 Make a playhouse from sheets and a frame of pool noodles. Hint: Using noodles of a uniform size makes framing easier. 7. 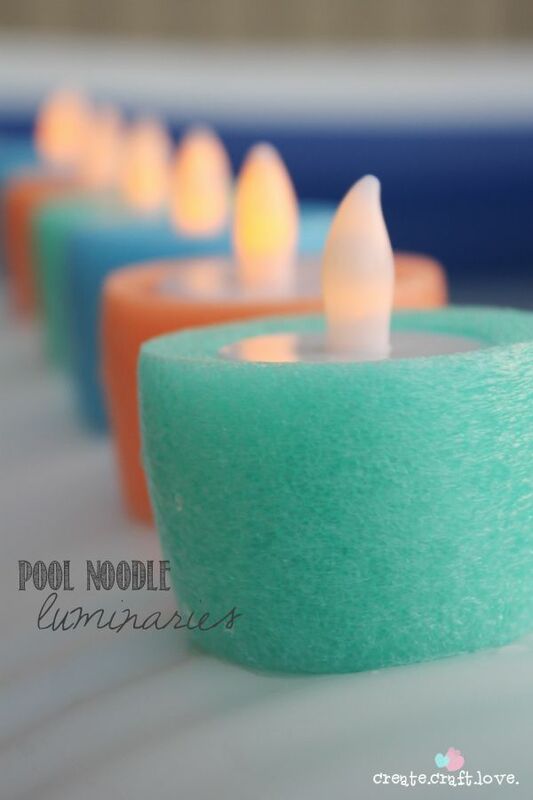 Create a floating luminary by first securing plastic wrap around an LED tea light, then setting it inside a small section of pool noodle. Imagine a flotilla of these in your pool at night —beautiful!